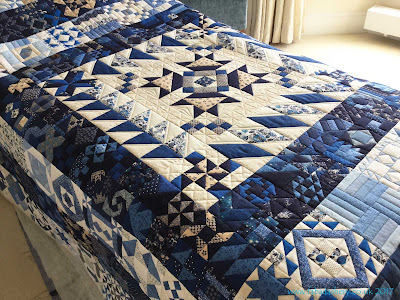 Here is another massive quilt hand stitched by Suzanne. 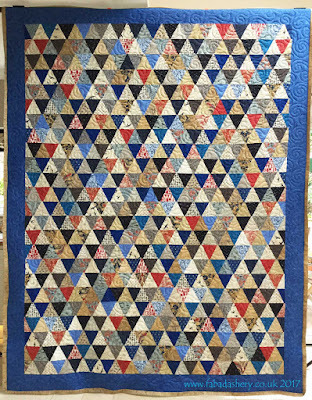 This one is for her Dad and it reached the ceiling when I hung it up. 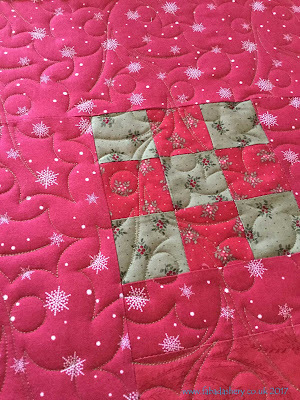 I love the choice of colours, especially the dashes of red. 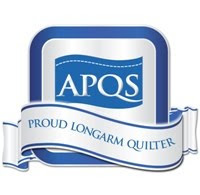 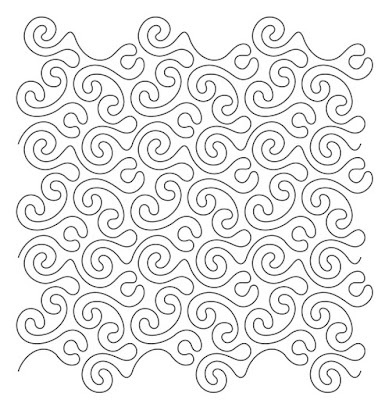 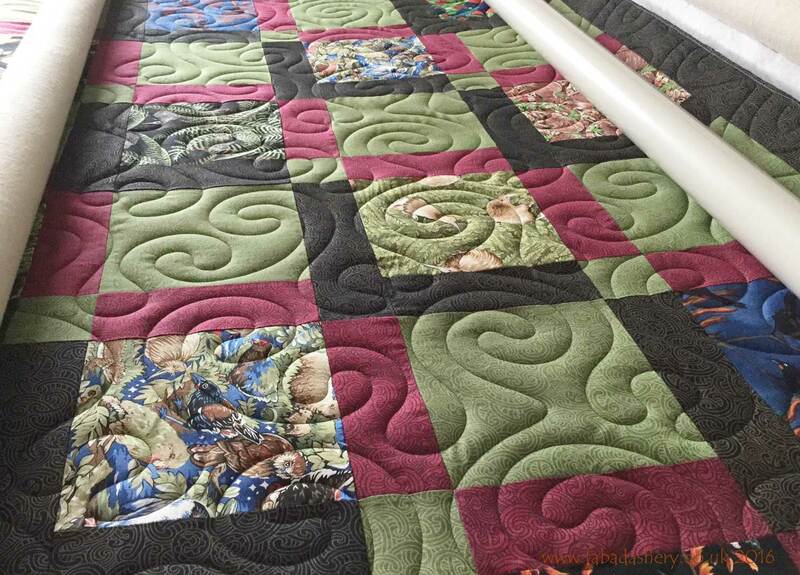 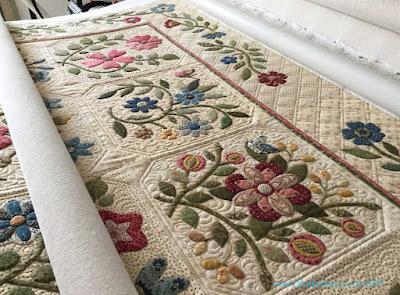 The thought of quilting a large quilt can be overwhelming and this is where a long arm quilting service really is worthwhile. Although it has taken just over a year to make, the quilting was done within days. Suzanne also asked me to add the binding, so that she could finish it off by hand. 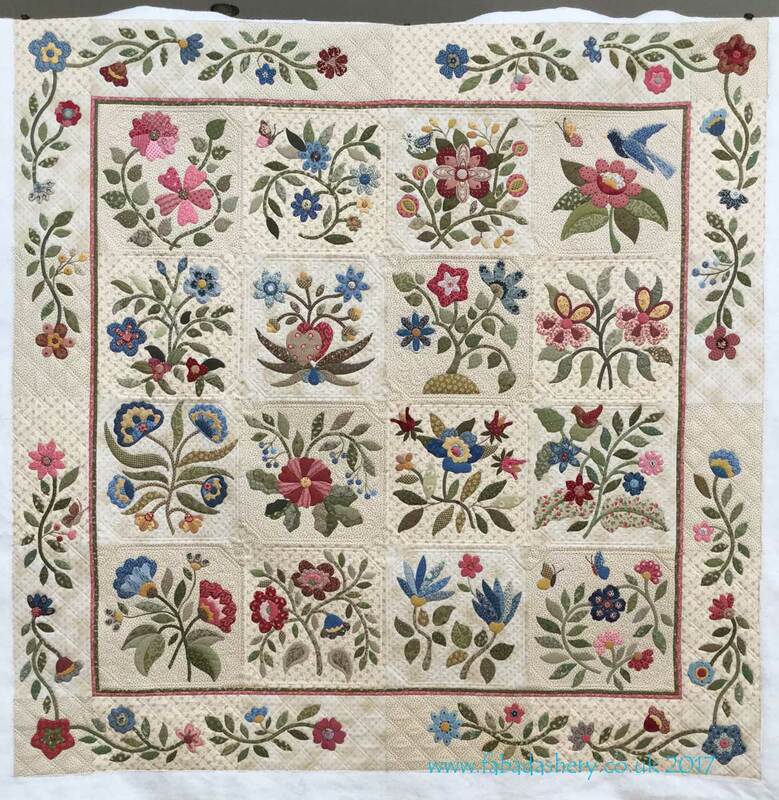 The quilting pattern used on this quilt is 'Bird's Eye View' designed by Barbara Becker and it gave a nice even finish to the overall quilt. 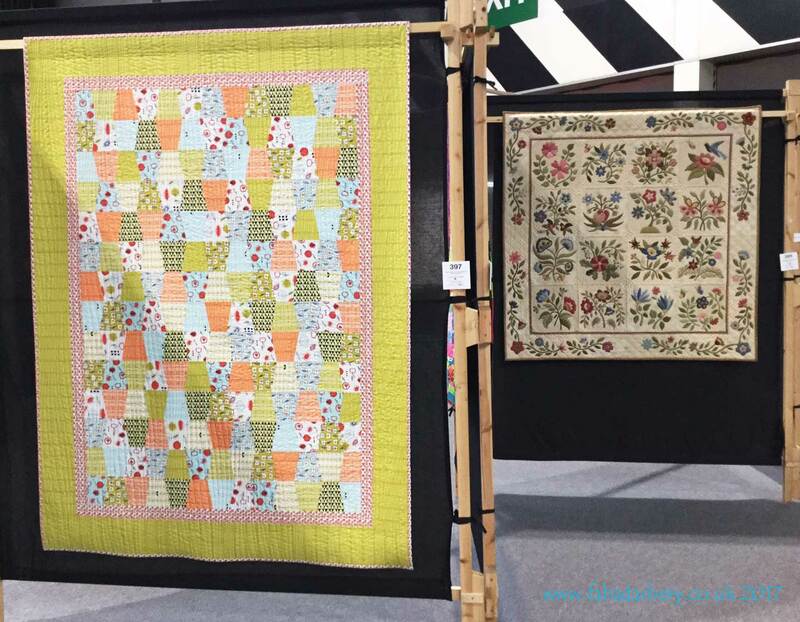 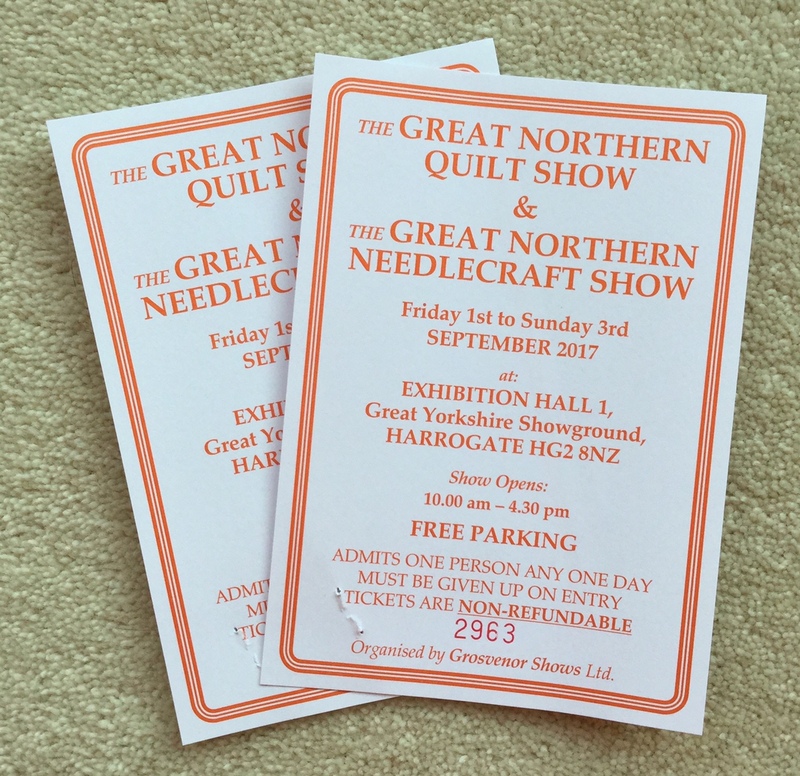 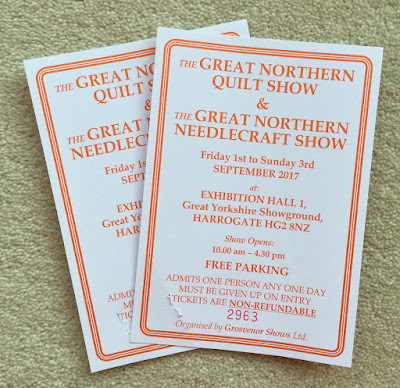 I can't believe a week has gone by since the Festival of Quilts 2017. 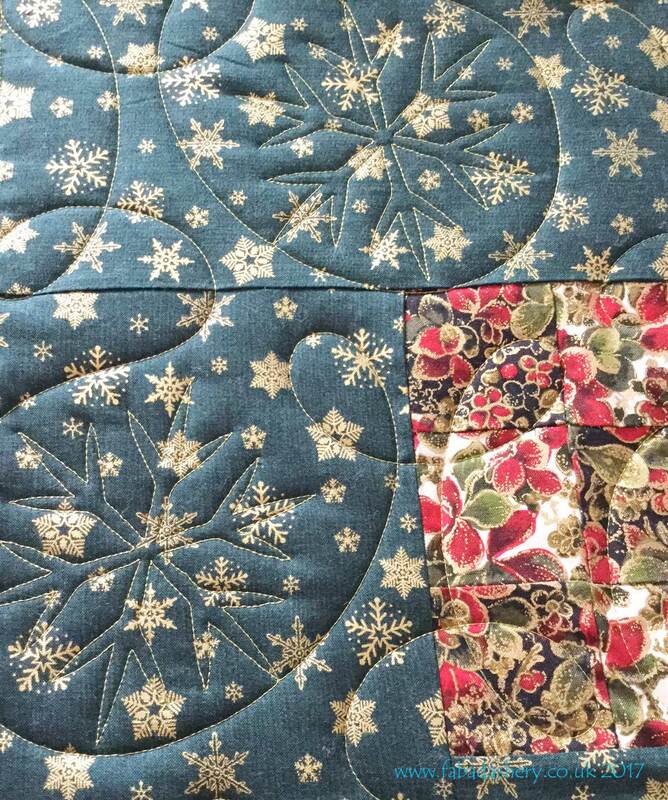 It was great to see everyone. If you are wondering what sort of quilting I do at Fabadashery Long Arm Quilting, these two quilts which were on display near each other by my customers Natalie and Lynne, sum up the two extremes! 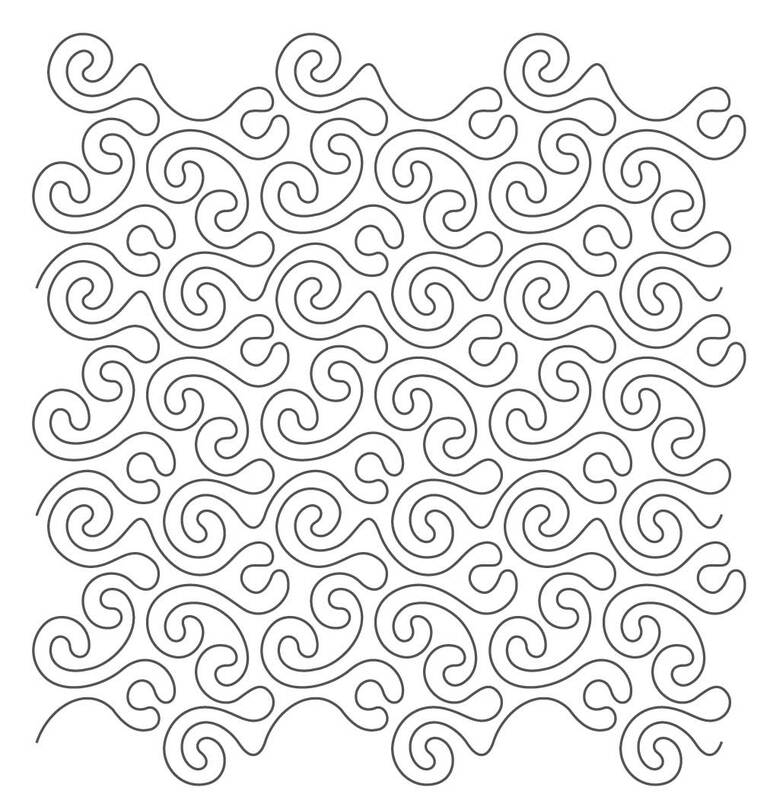 Have you been following the 365 Challenge quilt? Valerie followed along in 2016 and has finished all the blocks in a blue and white colour scheme. 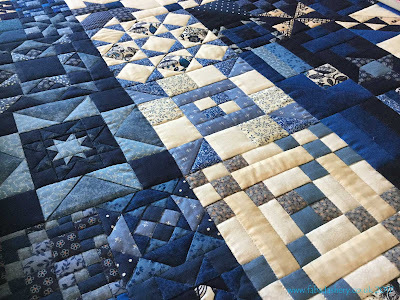 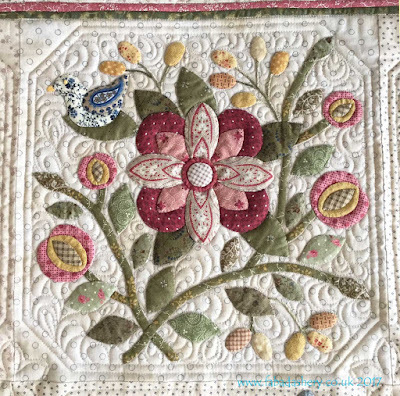 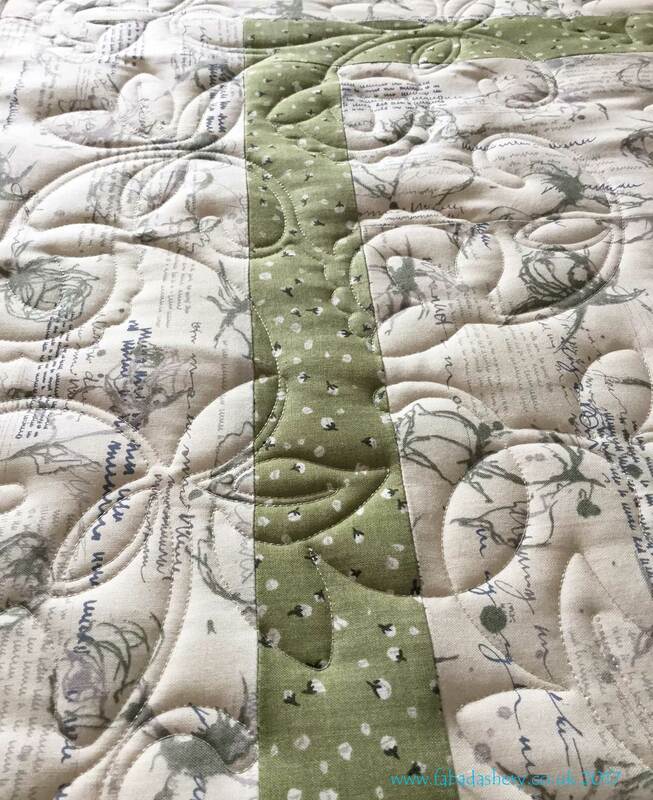 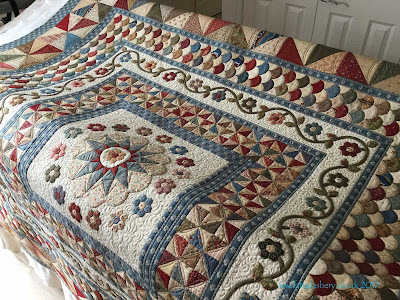 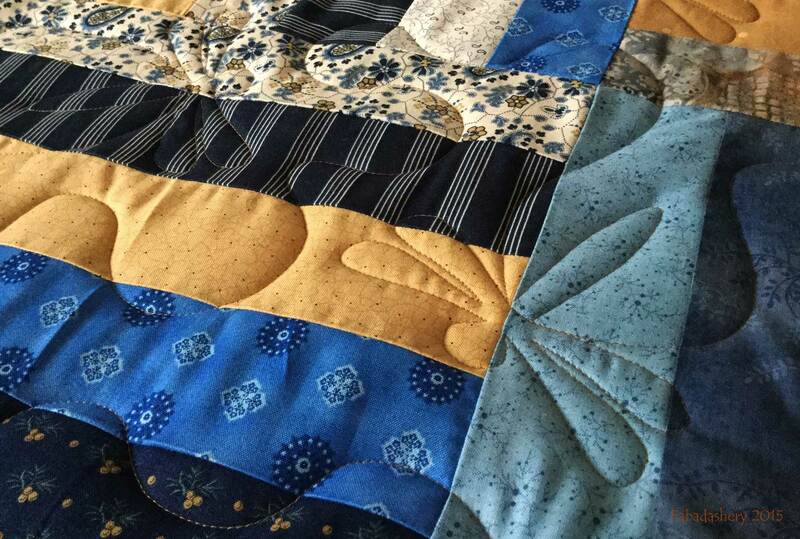 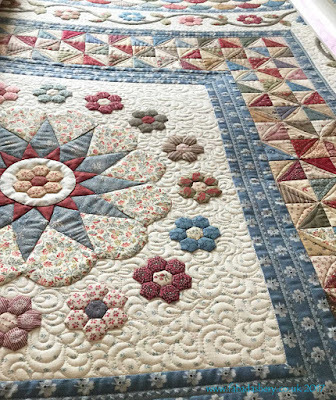 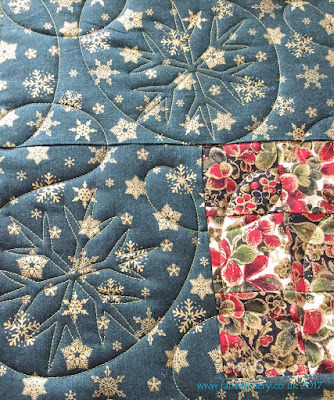 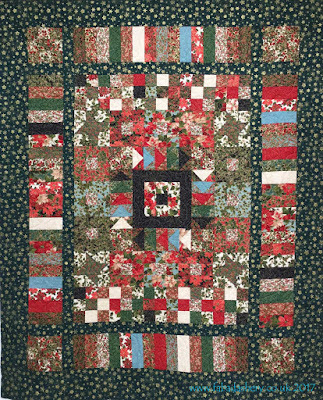 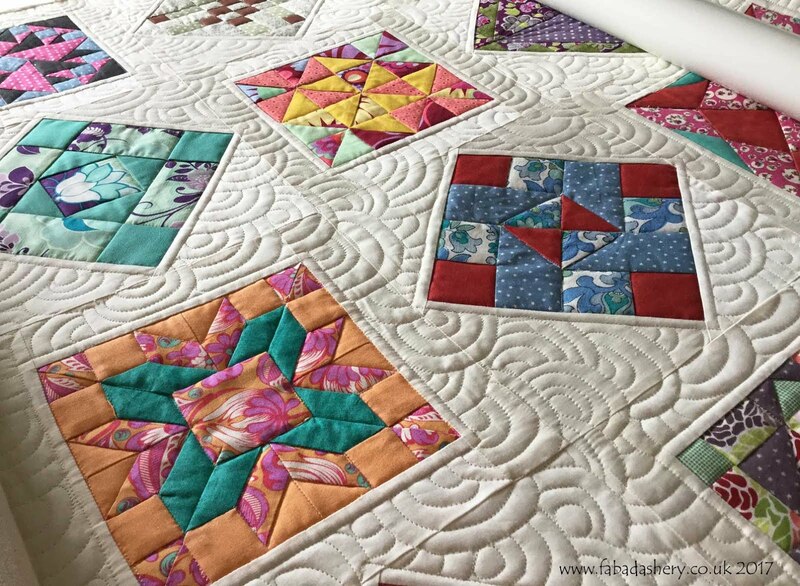 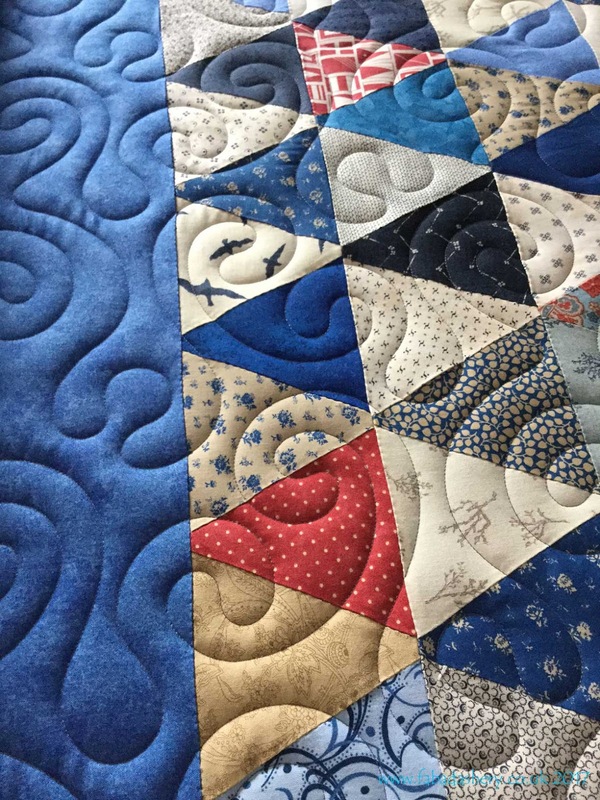 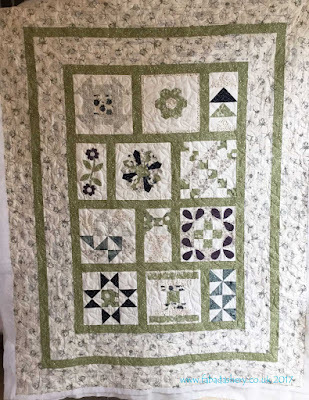 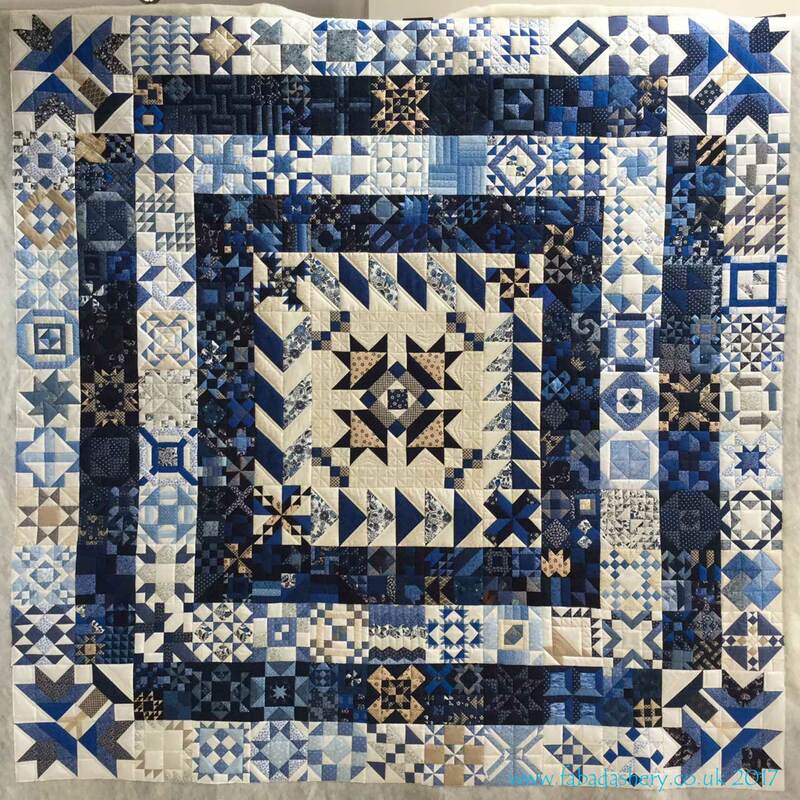 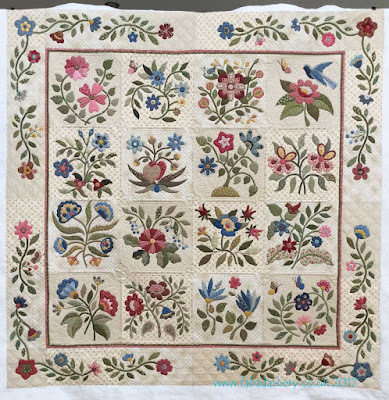 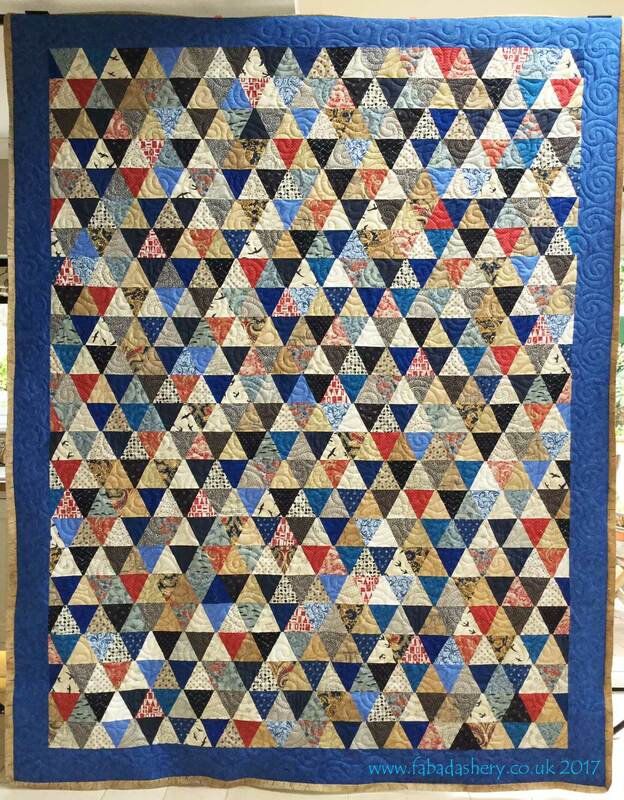 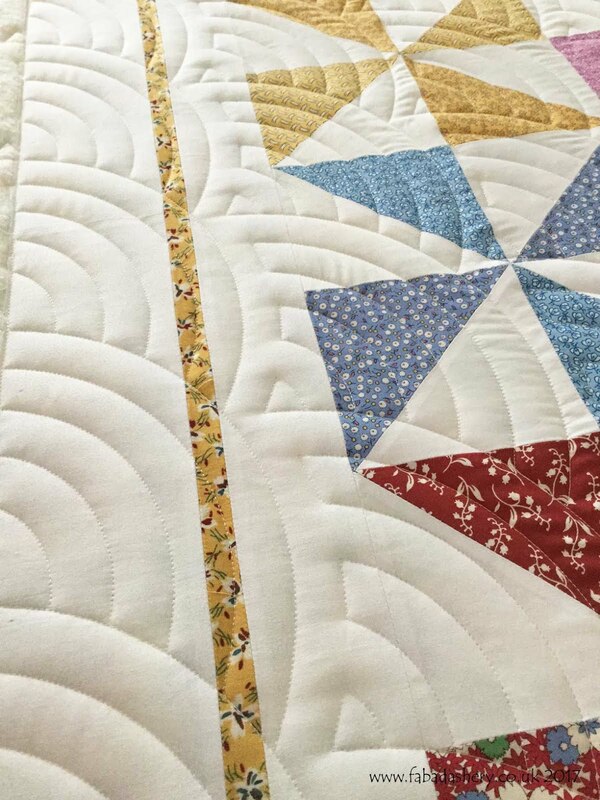 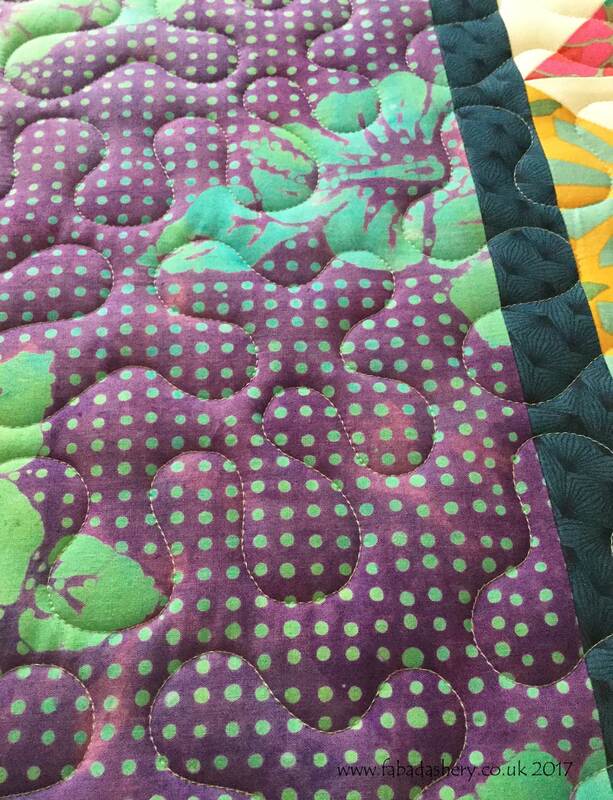 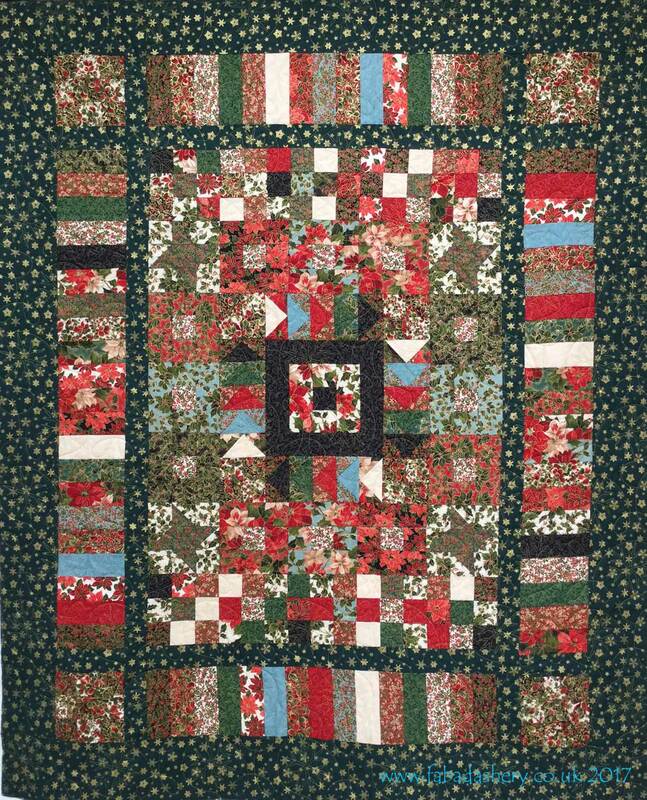 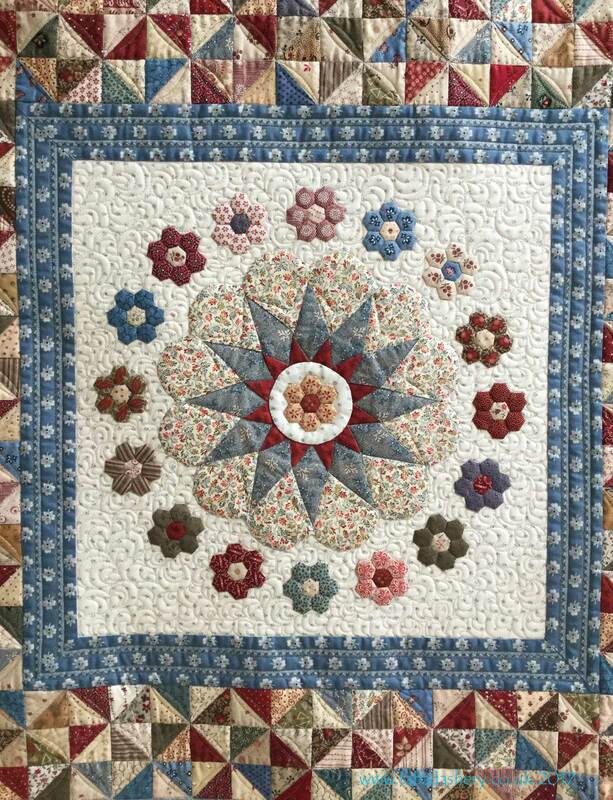 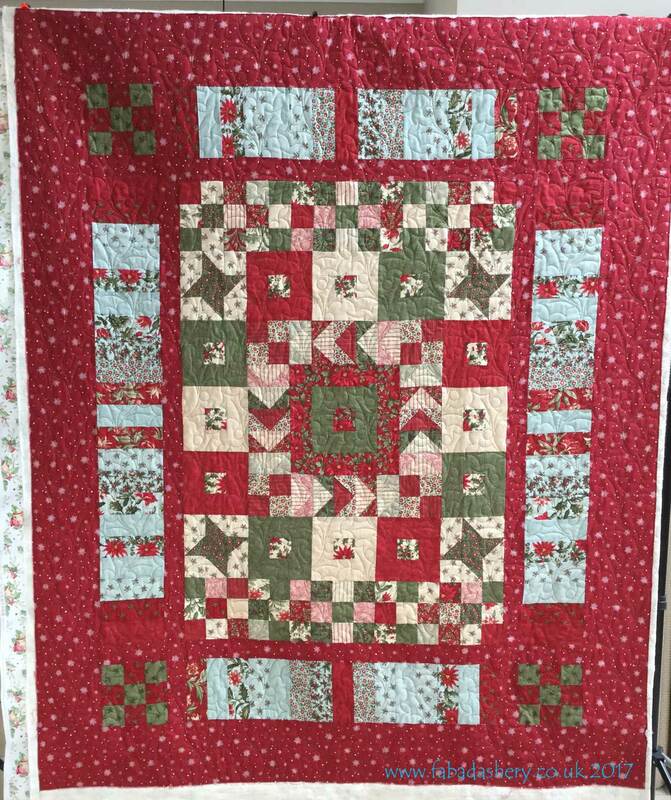 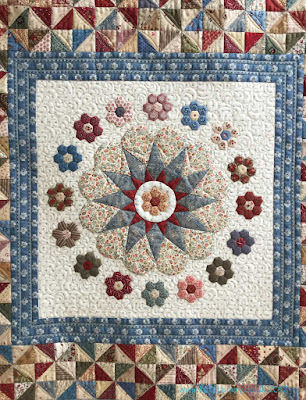 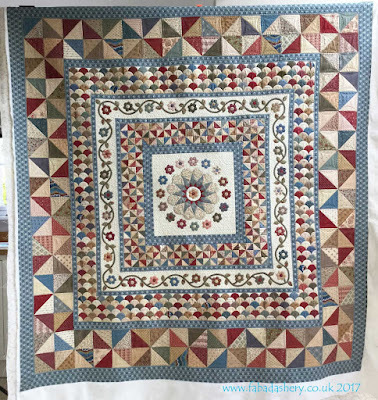 As you all know, I love a sampler quilt, so I was pleased when she brought it along to be quilted by Fabadashery Longarm quilting. 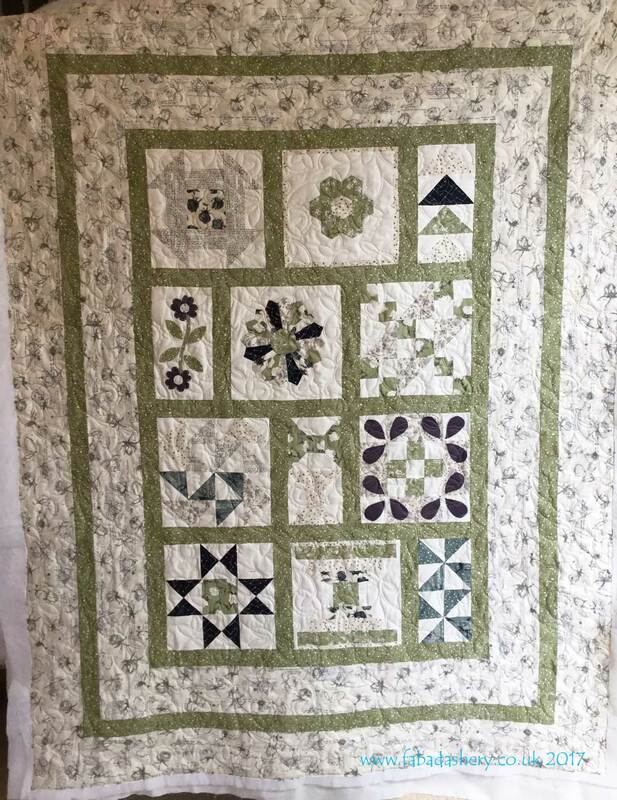 There is going to be a display of these quilts at the 2017 Festival of Quilts and Valerie got in contact this week to say that her quilt has been chosen for part of the display. 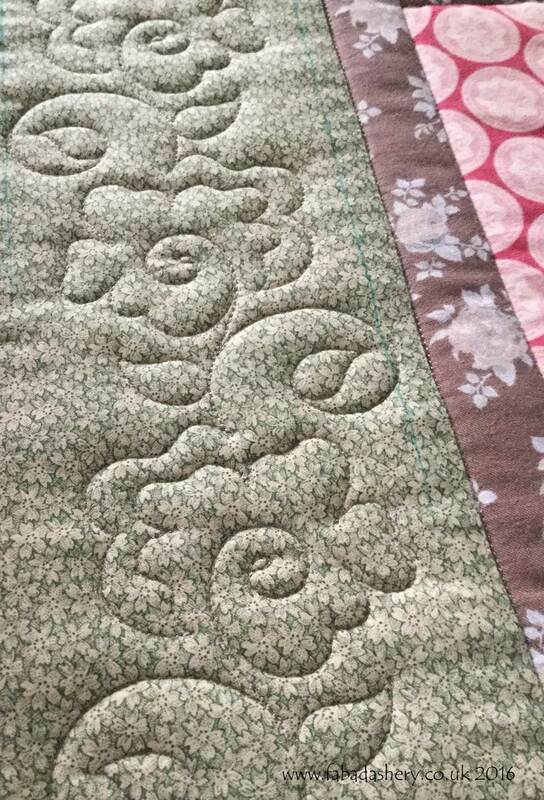 I am so thrilled for her. 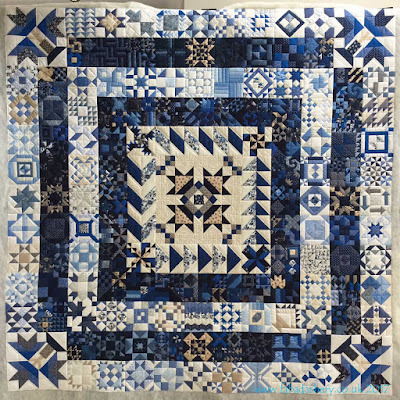 Kathryn Kerr launched the challenge on her website at the beginning of 2016 and issued a new block everyday for a whole year. 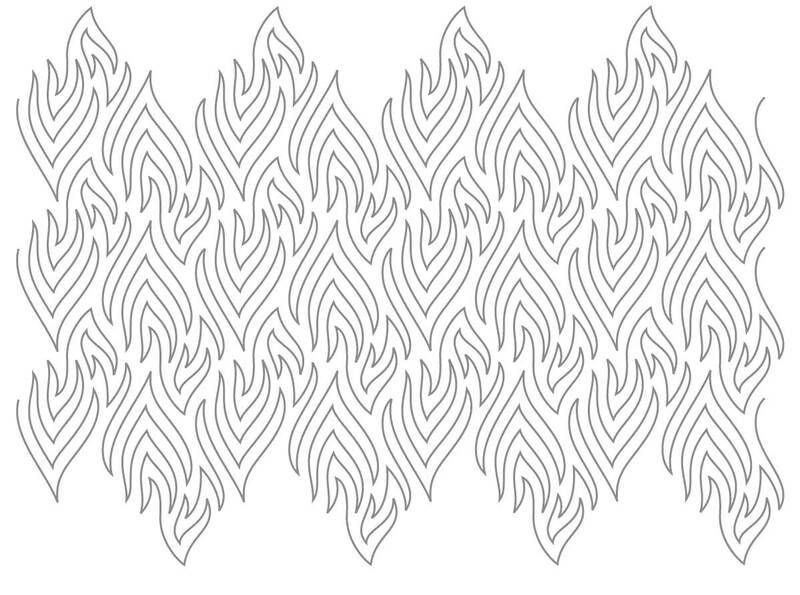 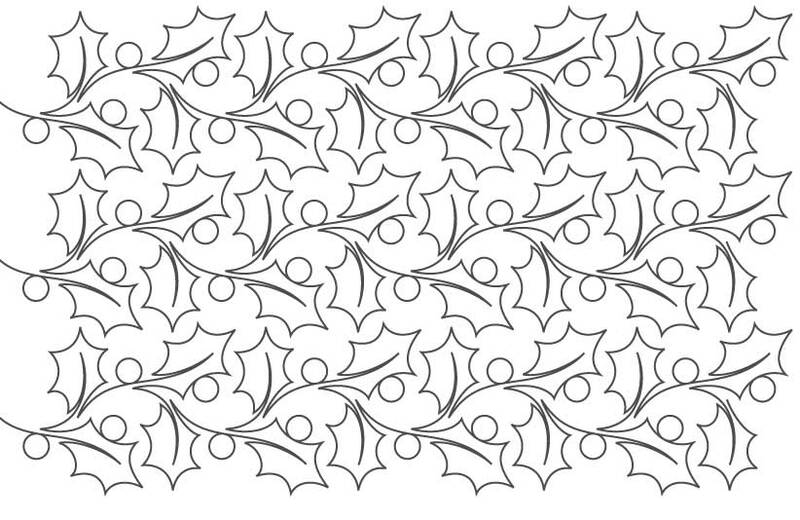 It must have been quite a challenge to keep up, especially without knowing the final layout and design. 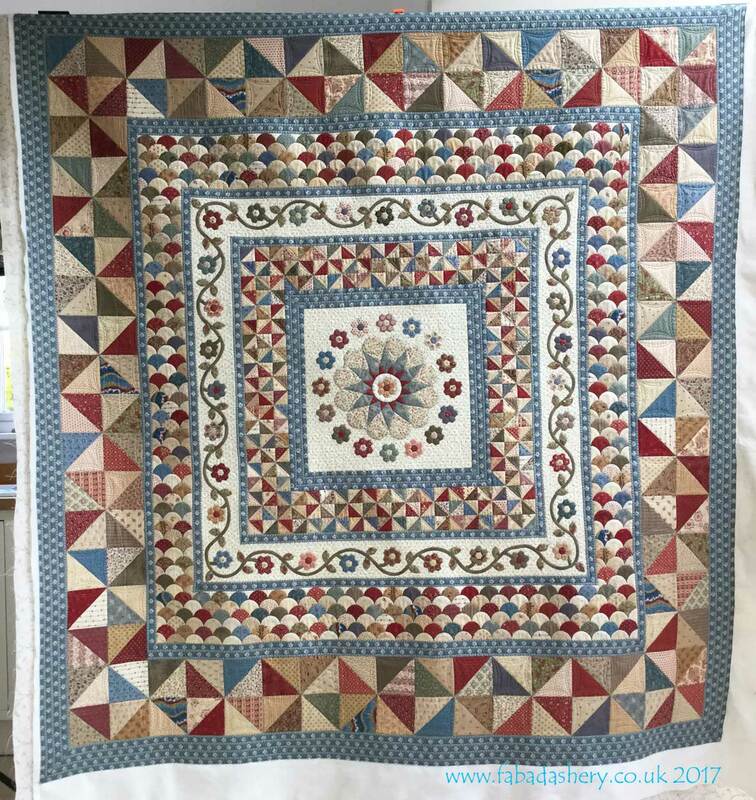 Labels: 365 Challenge quilt, Festival of Quilts 2017, Kathryn Kerr, Ultimate sampler quilt. 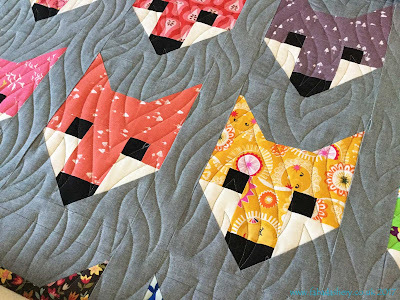 Penny has done a lovely job on this baby quilt, a quilt design called 'Fancy Fox' by Elizabeth Hartman. 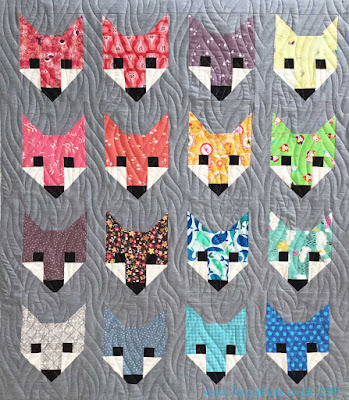 Penny always has such a great selection of fabrics, that it is hard to choose which is my favourite fox! This cute quilt has already made its way as a new gift for a baby boy, but I know she is working on the 'Fancy Forest' pattern too. 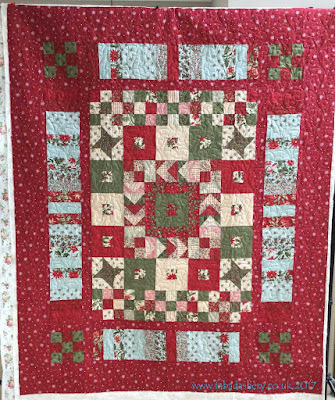 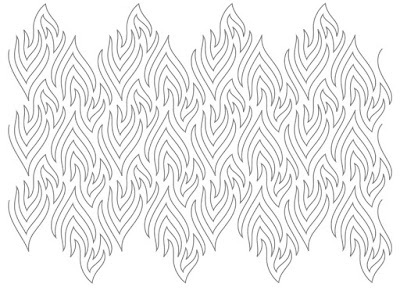 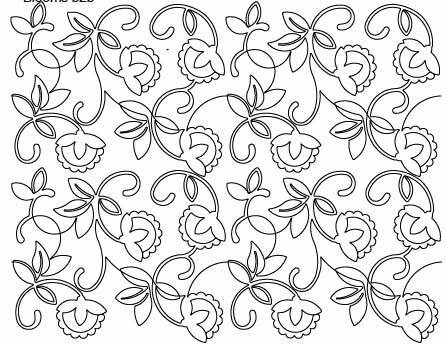 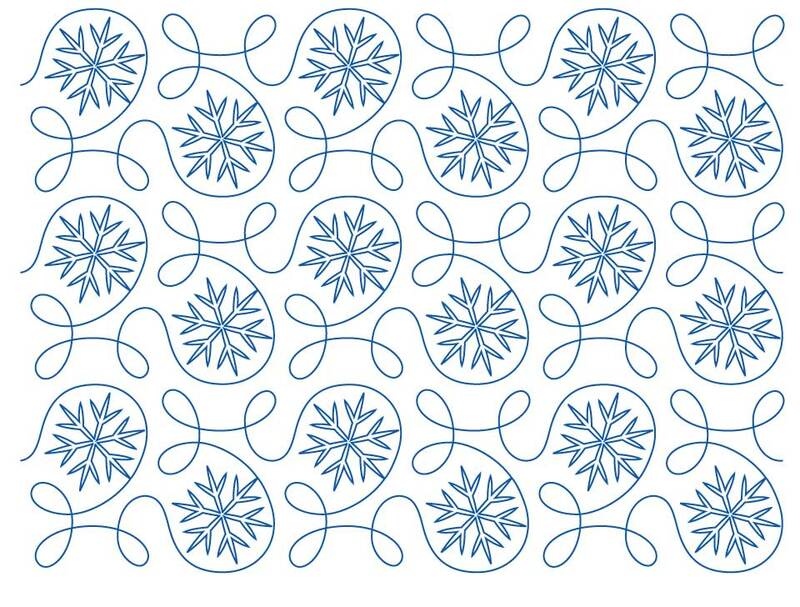 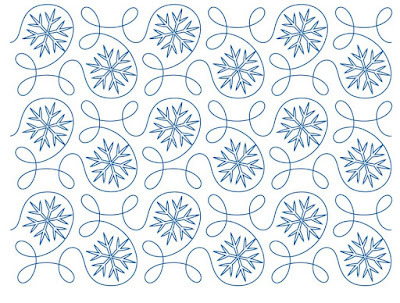 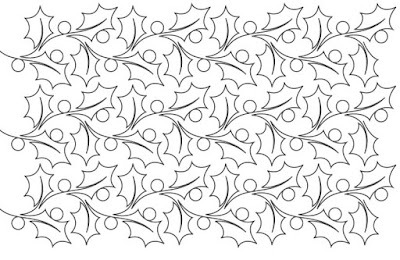 I used my longarm quilting machine to quilt this gorgeous pattern, 'Heatwave' designed by Patricia Ritter, which had a woodland feel about. 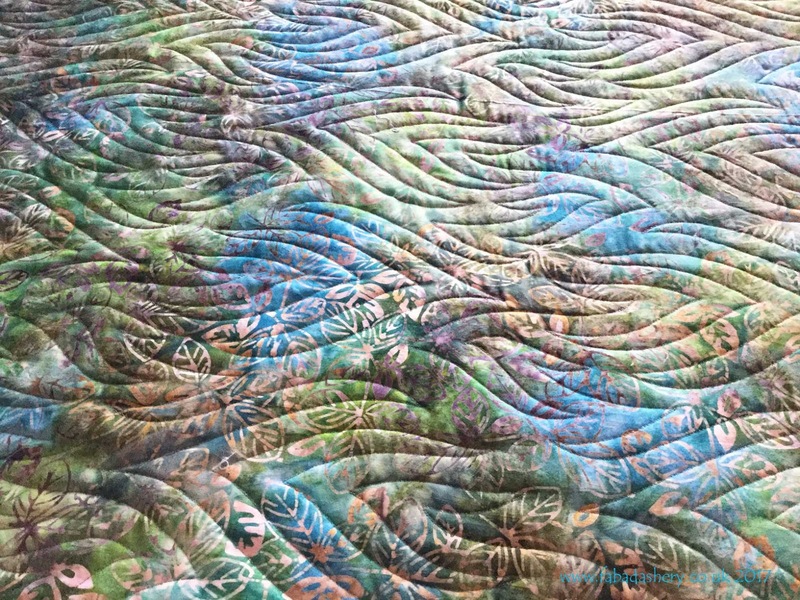 It came out beautifully on the front and on the batik fabric Penny chose to put on the back.